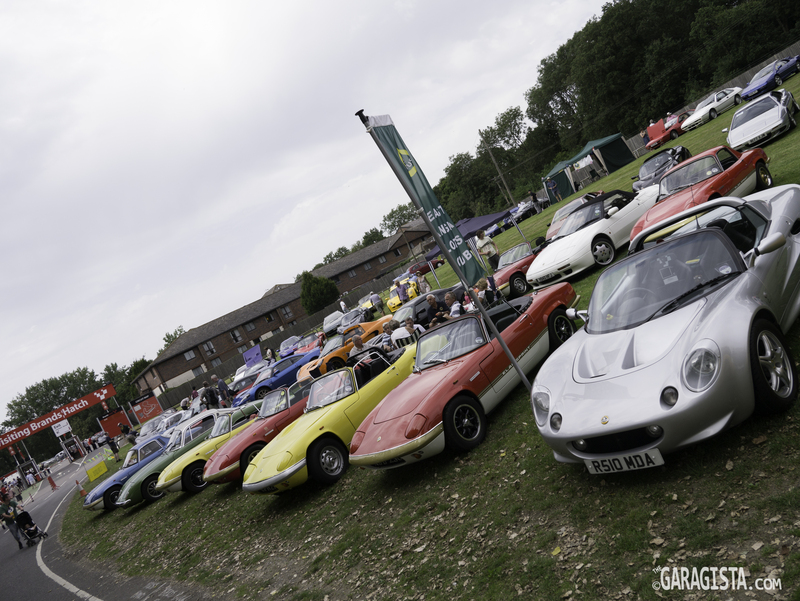 It’s been a banner year for Lotus celebration events. The Hethel UK based company is in their 60th year and fans are reveling everywhere. In addition to the company’s anniversary, Lotus launched the iconic Elan 50 years ago resulting in many events across the globe honoring the light weight sports car. 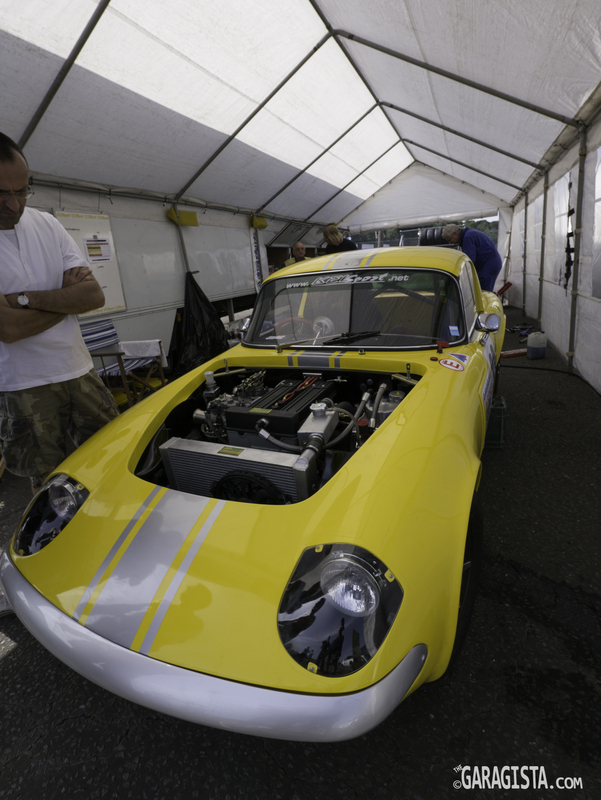 The Lotus Festival held at UK’s Brands Hatch Raceway August 18th and 19th was an impressive event filled with a full line up of exciting races as well as demonstration laps of notable road and race cars. 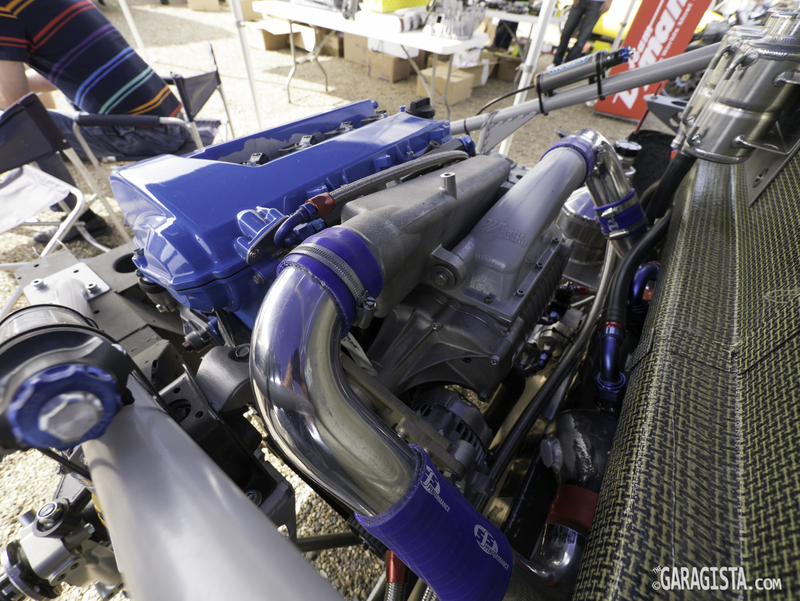 There was also a vendor area filled with an exciting assortment of rare and beautiful parts. A specific club represented just about each Lotus nameplate and cars were displayed with pride ownership. 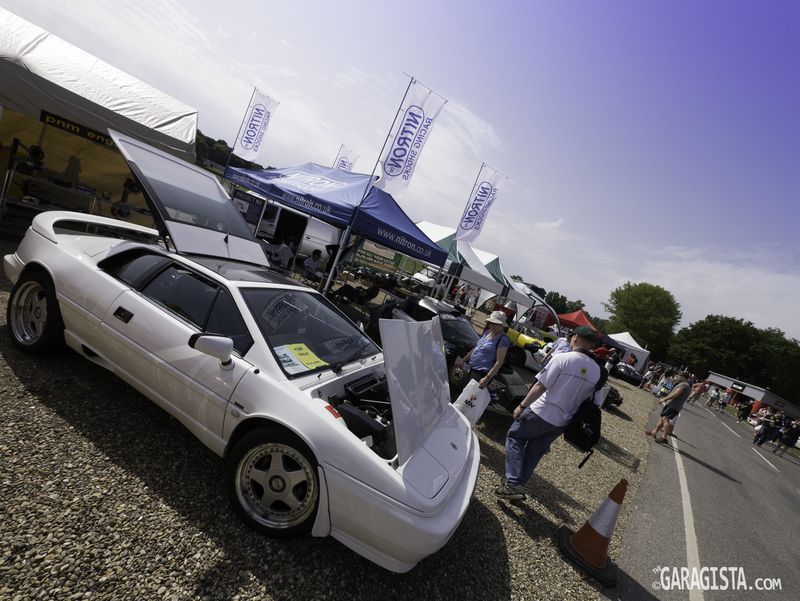 The paddock and pits were filled with clubs, vendor displays, and plenty of rare and exciting cars. 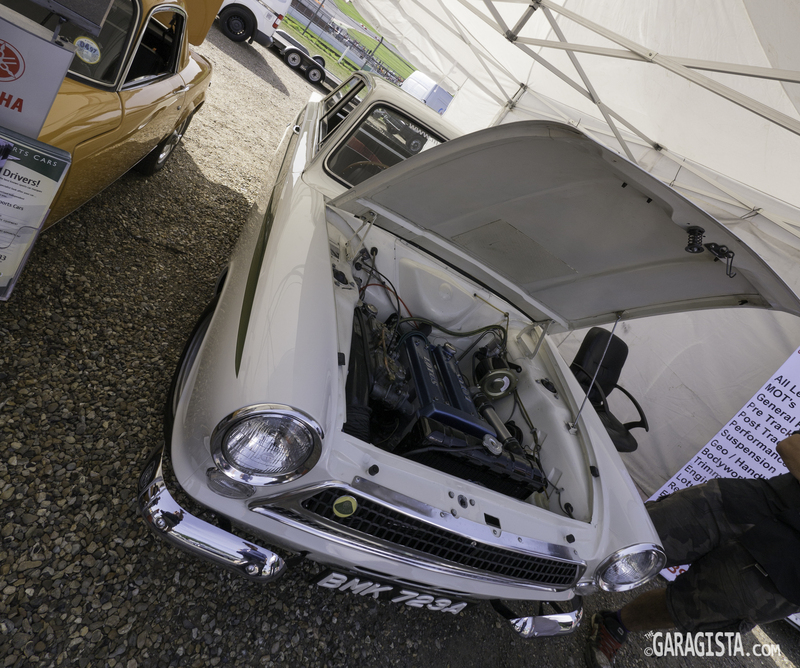 Lotus Cortina BMK 723A was on display and is a real time capsule with only 3975 miles on the clock. Bruce Reynolds, the mastermind of The Great Train Robbery in 1963, owned the car. It was confiscated by the police and was later acquired by Lotus in 1980 and added to their car collection. The car is rumored to still have the original tires from 1963. Lotus Cortina BMK 723A with only 3975 original miles. 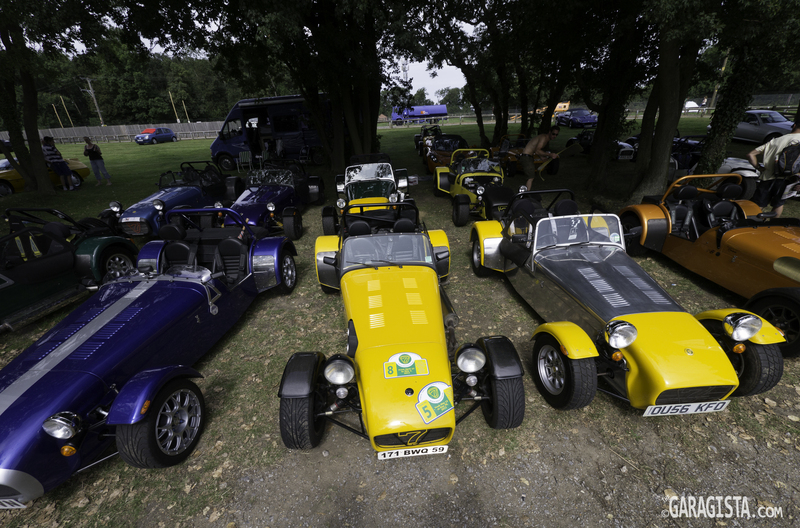 Lotus clubs from all corners of the UK. 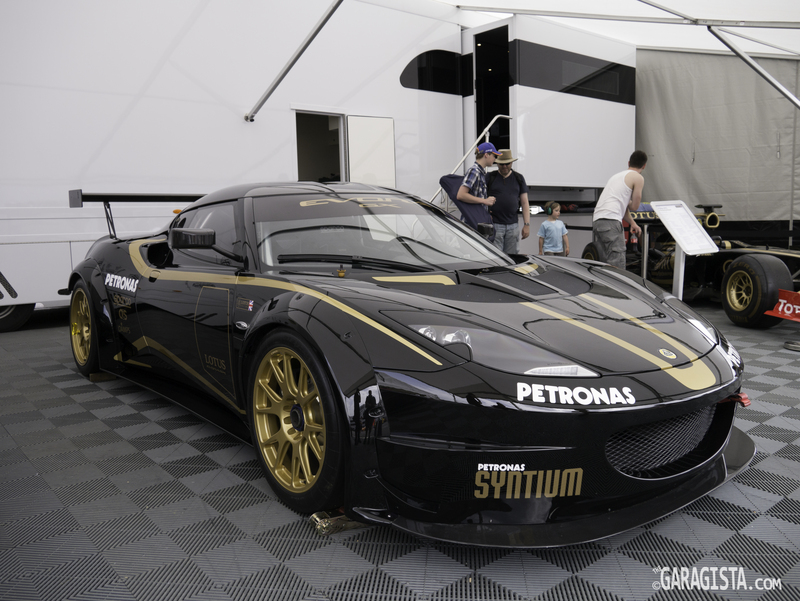 Lotus displayed their recently announced Evora GX for the Grand Am series in the USA. The larger wheel arch flares dramatically change the appearance of the car for the better. 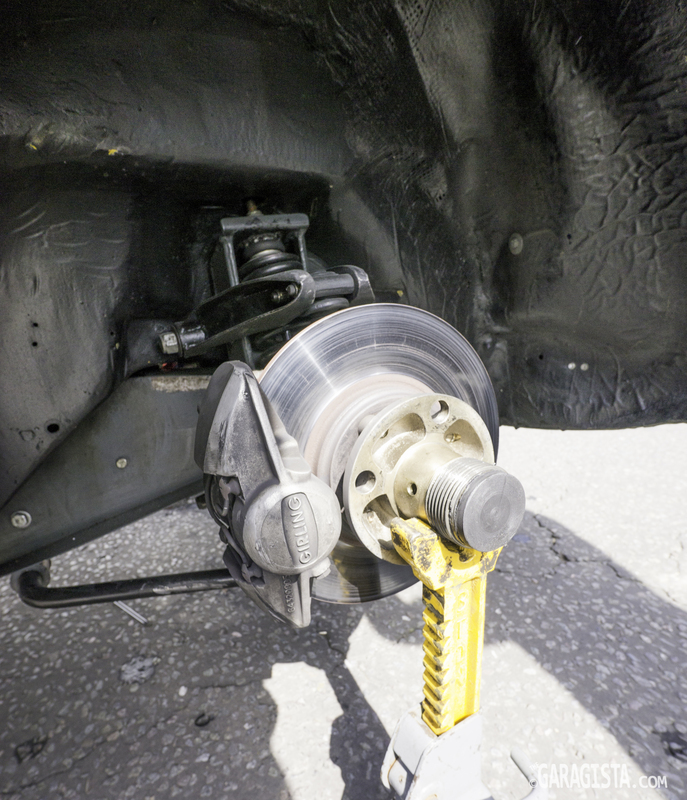 There are numerous modifications added to homologate the car for the American series including required fuel fillers, and other safety devices. The car weighs a mere 1150kg with carbon fiber roof and doors and is powered by a 4 litre , 440BHP V6 mated to an XTRAC six speed sequential paddle shift gear box. The vendor display had such a wide range of interesting products. Nitron suspension displayed their project N2 Exige with a long list of impressive modifications. It’s very nice to see this caliber of build displayed for the general public. The attention to detail seemed very high. I can’t wait to see this on the track. 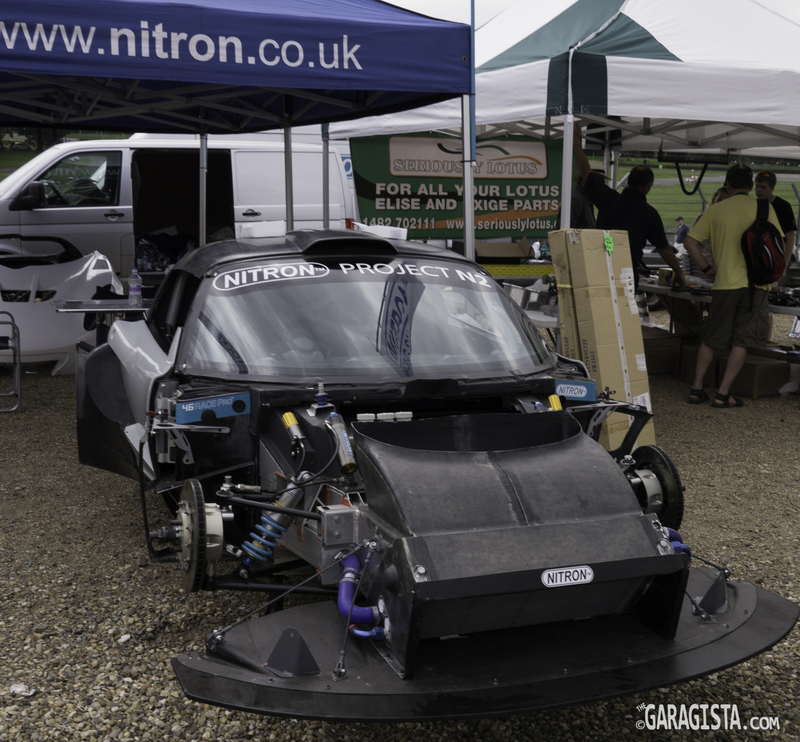 Check out Nitron’s build up on the car in their own blog, Nitron Project N2. There were also numerous on track demonstrations including the Lotus T125. This F1 type track day car sounded amazing. 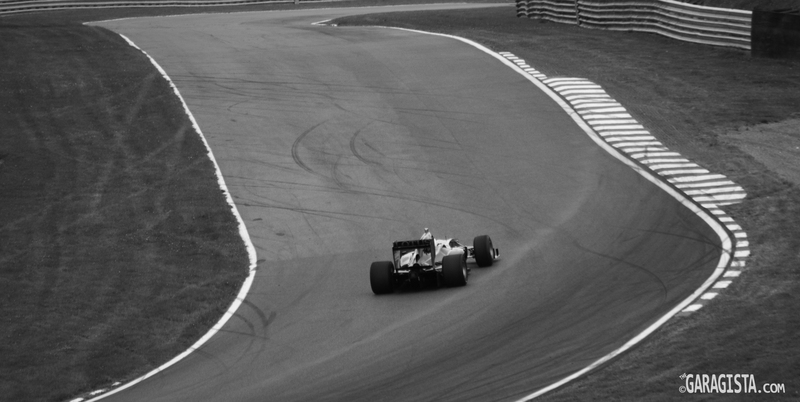 One thing you really notice is how different an F1 car sounds when its out on the track alone. The high revving exhaust note reverberates through the trees that surround Brands Hatch like some type of primal call to war. The sound was magic. There were also several demonstrations of Lotus road cars from assorted periods in time. The cars were provided by the various clubs that represented each name plate and were driven with pride and gusto around the track with tires squealing. 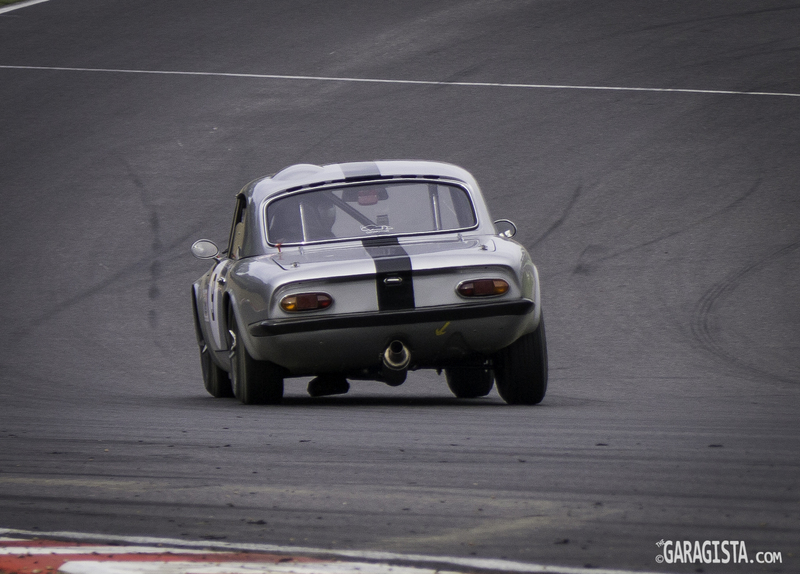 Lotus Cortina MK1 and Series 4 Elan on track. 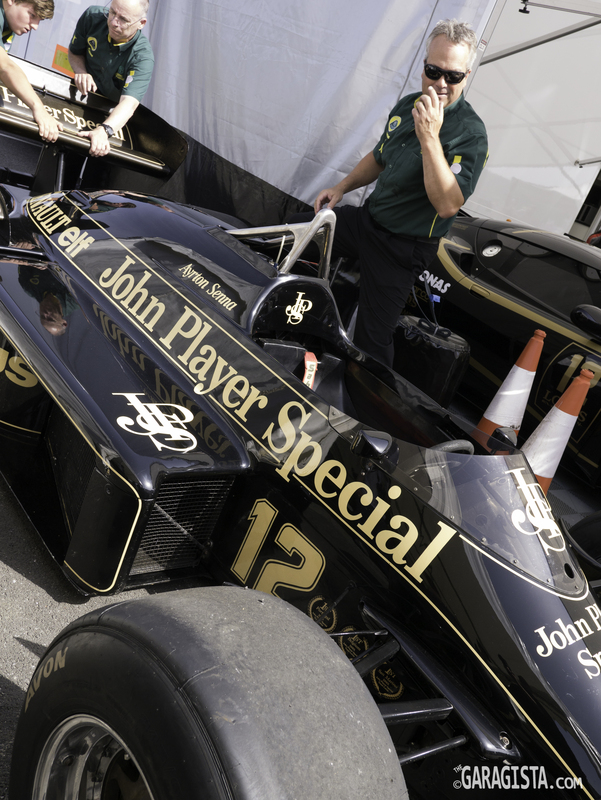 Classic Team Lotus was also on hand with a with several prominent Lotus F1 cars including Senna’s Type 97T. This turbo powered Renault engined car coincided with Ayrton Senna’s Lotus debut and carried him to victory on several occasions. 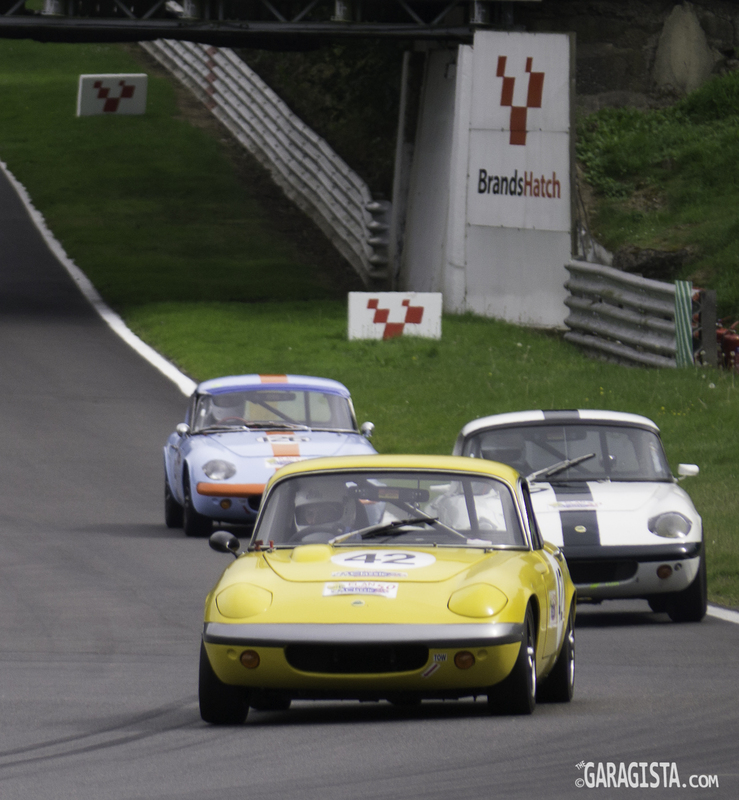 For many, the highlight of the weekend was the Lotus Elan tribute race. 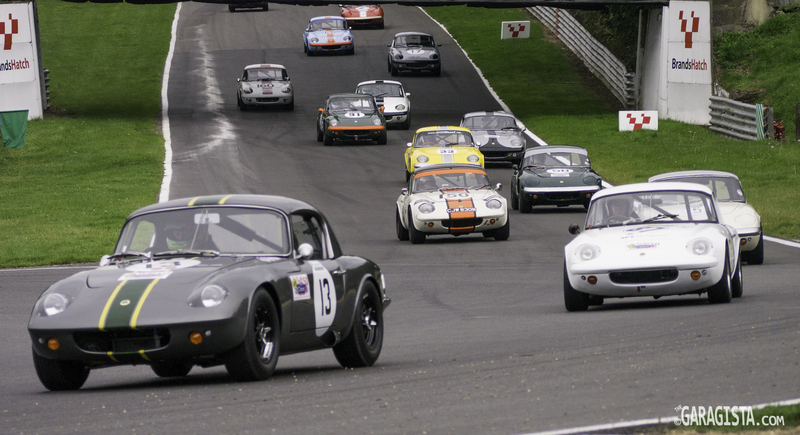 To celebrate 50 years since the cars debut, a 24 car, 30 minute feature race was run with Elans divided into Classic and FIA categories. The Classic specification allowed a wide range of modifications including modern tires, extensive engine modifications, and cars from a wide range of years. The FIA category class was made up of Series 1 and Series 2 cars (1962-66)built to Lotus 26R spec complying to Appendix K rules. Dunlop CR65 bias ply tires are compulsory in the FIA class and make for some entertaining driving styles as the cars slide through corners in complete control. 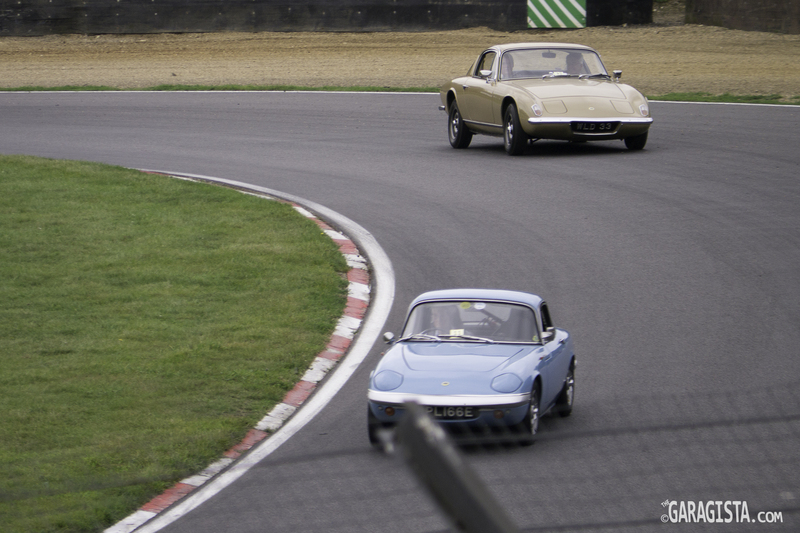 Lotus Elan feature race as the cars head into Clark Curve. FIA 26R lifting a wheel. FIA 26R Elan sliding out of Clearways into Clark Curve. Nick Atkins slides through in his Elan 26R. 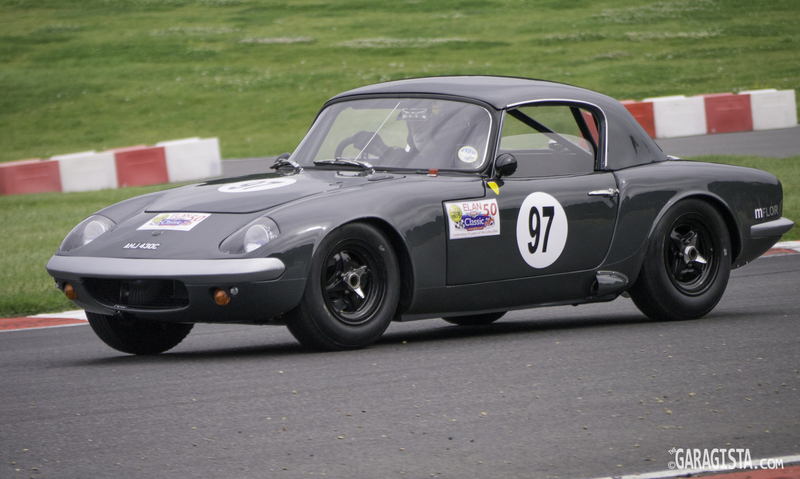 Phillip Rothwell steams out of Clearways in his S3 Elan. 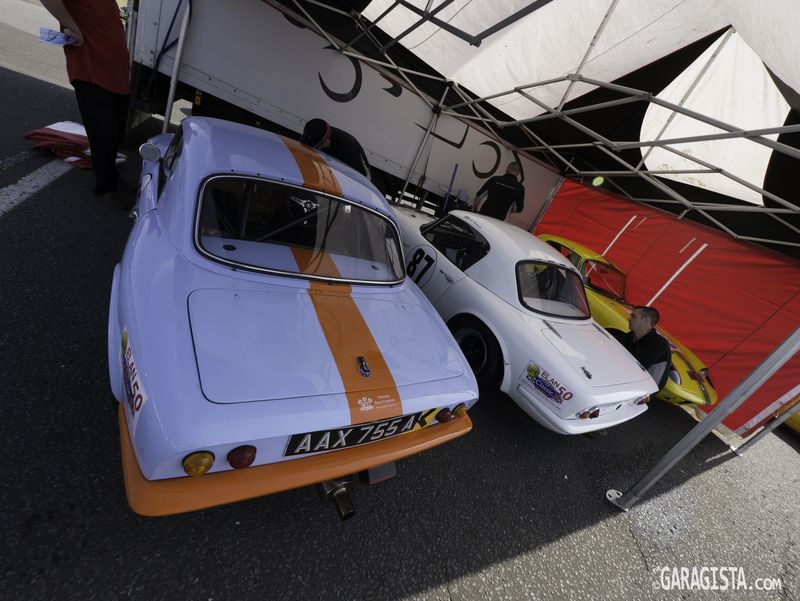 The Elan paddock area offered some behind the scenes look at the way the cars are prepared for historic racing. 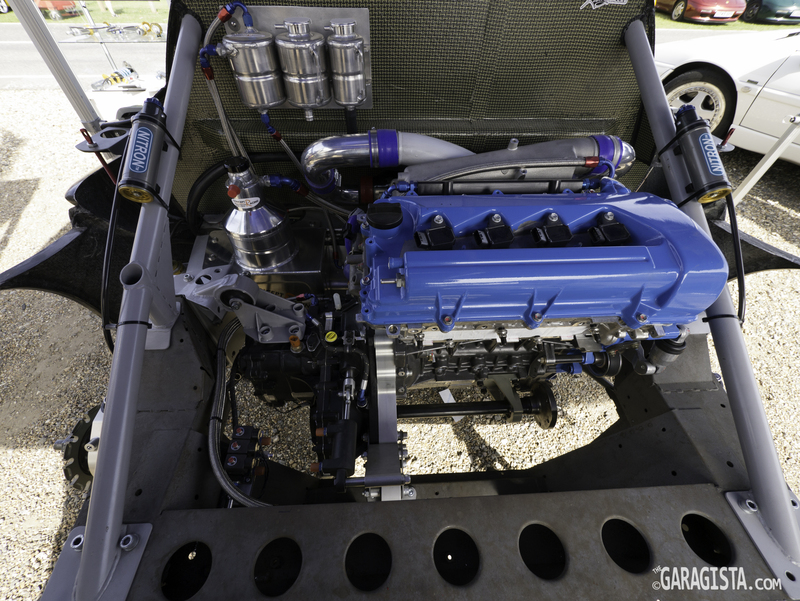 It’s always interesting to see the fabrication and parts used to build cars to this high standard. The teams and drivers are usually willing to talk about their cars and allow photos but be sure to ask permission first. 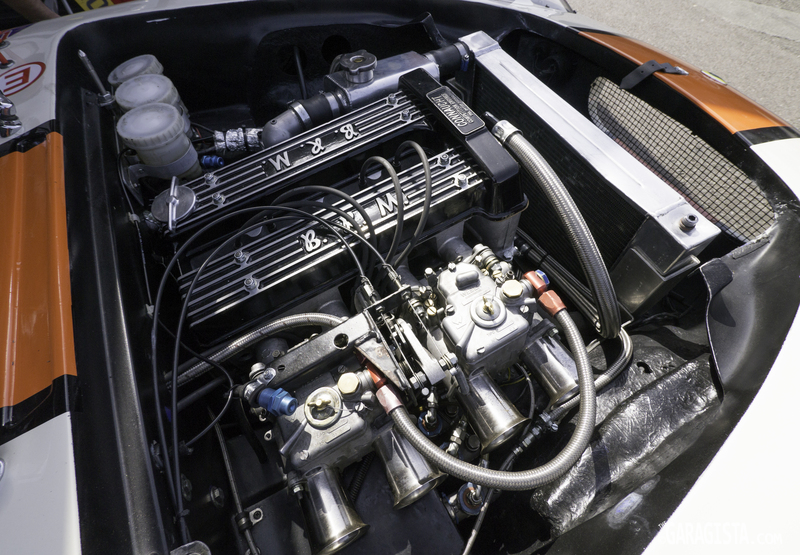 Lotus Twin Cam with BRM cover. 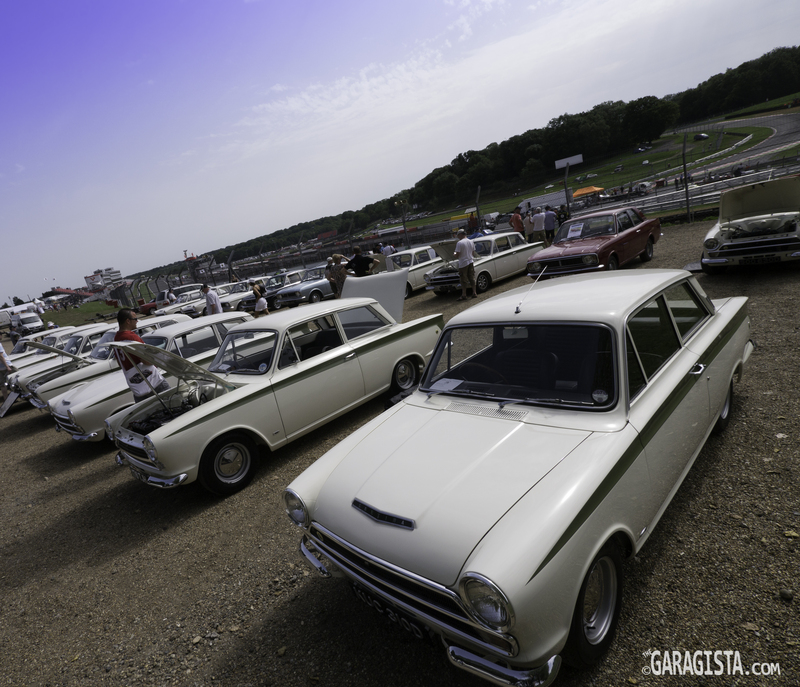 The organizers and Brands Hatch put on a great event. It’s aways nice to see cars from the other side of the pond and meet new, like minded enthusiasts. 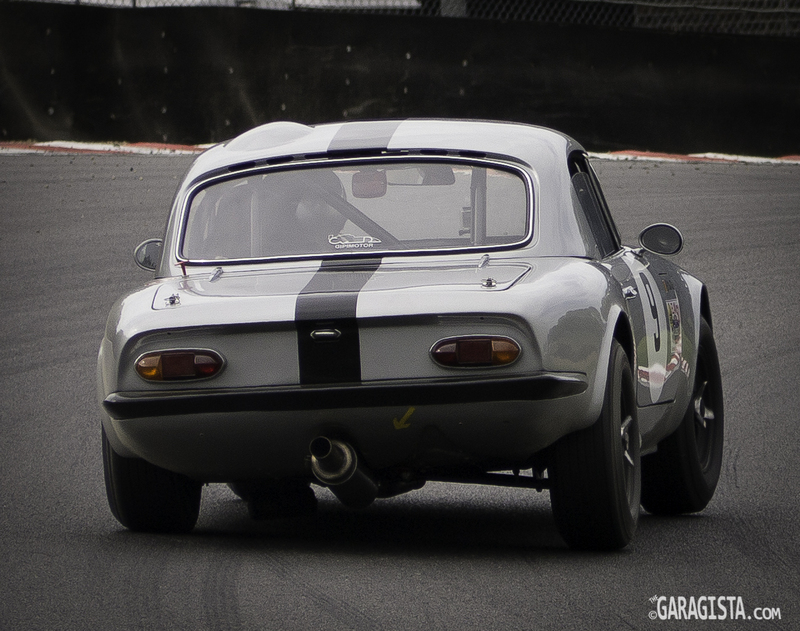 Brands Hatch is a special place and was a fitting venue to celebrate 60 years of Lotus and 50 years of the Elan. 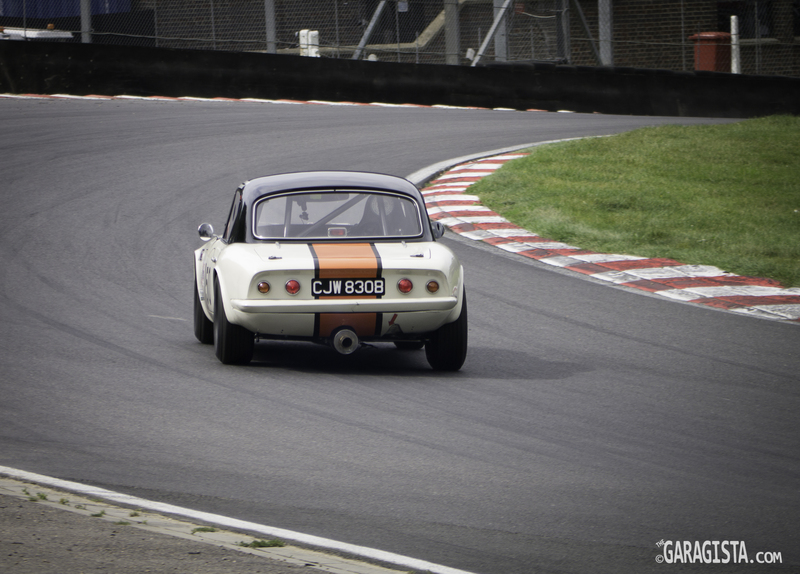 For even more images from the Brands Hatch Lotus Festival, click on the link below. 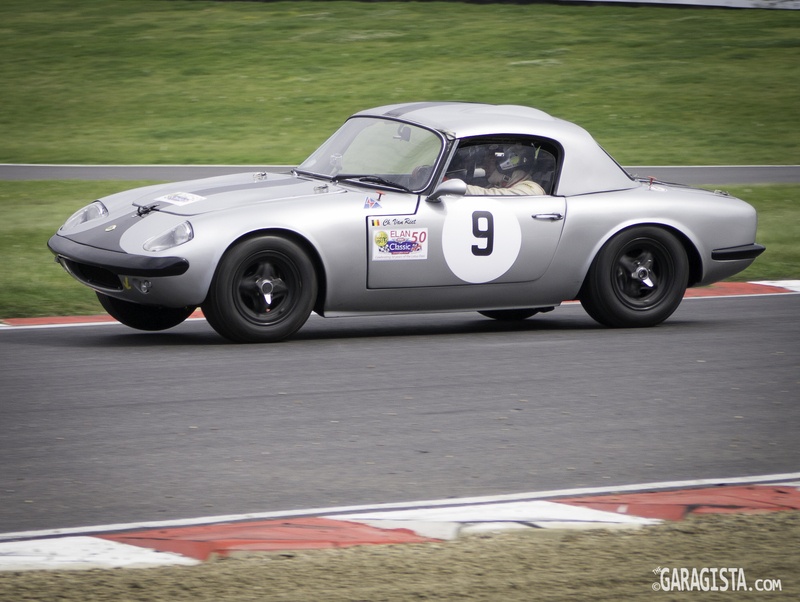 Gallery | This entry was posted in Colin Chapman, Events, Historic Races, Lotus, Lotus Cortina, Lotus Elan, Lotus Seven, Retro and tagged Brands Hatch, Classic Team Lotus, Colin Chapman, Elan 26R, Lotus Cortina, Lotus Elan, Lotus Festival. Bookmark the permalink.